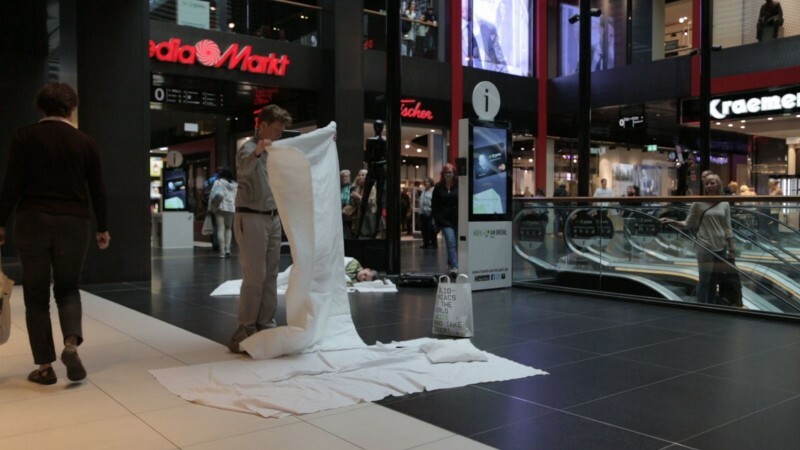 NAF travel to Leipzig to perform NORM IST F!KTION #1/2 in a huge shopping Center between, Mediamarkt, H&M and other chains of brands. They are accompanied by the video artists Luise Schröder and Anna Baranowski who document this event on film with their team. It´s incredible they´re almost invisible.